Latest Developments at RADMAR Publishing Group | RADMAR, Inc.
With completion of Richard Davidson’s 5-volume Lord’s Prayer Mystery Series in 2013, RADMAR has moved on to a project of creating updated second editions of the first three volumes. These will soon replace the originals and will be included in boxed sets of the series. Volume II, Give Us this Day Our Daily Bread, is the first Second Edition to appear. First Edition versions will continue to be sold until existing inventories are depleted. Second Editions of volumes I and III are scheduled within the next six months. In July, 2014 RADMAR published Richard Davidson’s Implications. This is the first volume in a new series, the Imp Mysteries. Every title in this series will start with Imp. 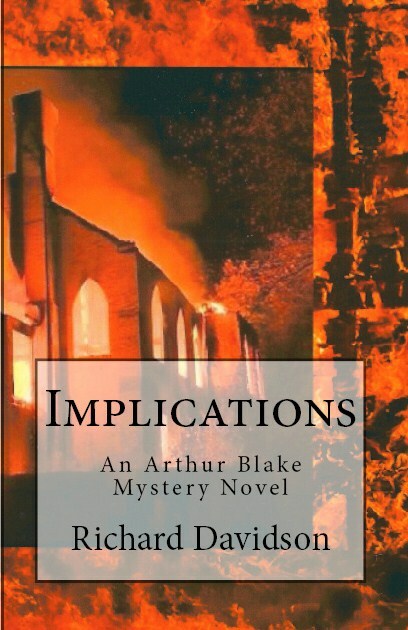 Implications deals with a catastrophic church fire and solution of the underlying mysteries revealed during the fire investigation. and a possible collection of short story mysteries focused on the legal profession. Additional projects will be revealed once they emerge from preliminary discussions. Watch this site for new information.